Playing dress-up begins at the age of five, and never really ends. As for me, even at 23 I feel no reluctance in dressing up and going click-click-click. 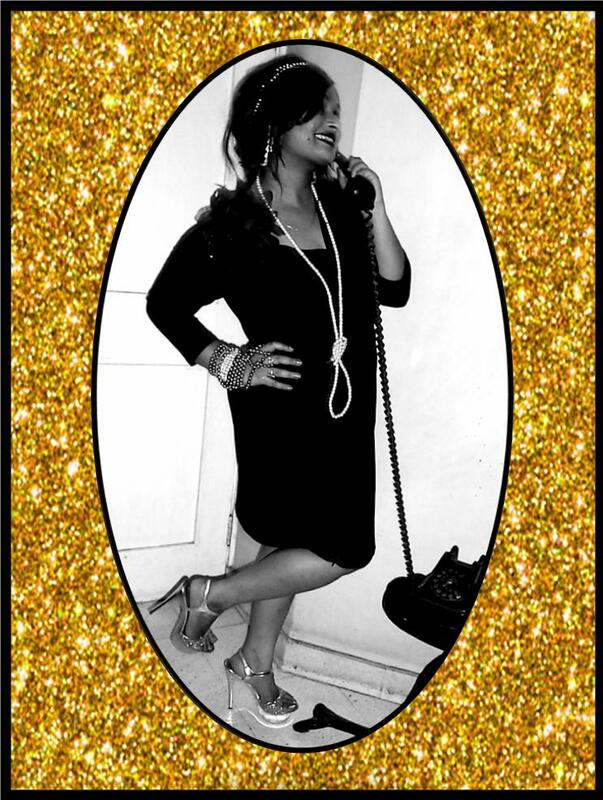 Many a people may call me old-fashioned in my likes, but I would call it my love for vintage. 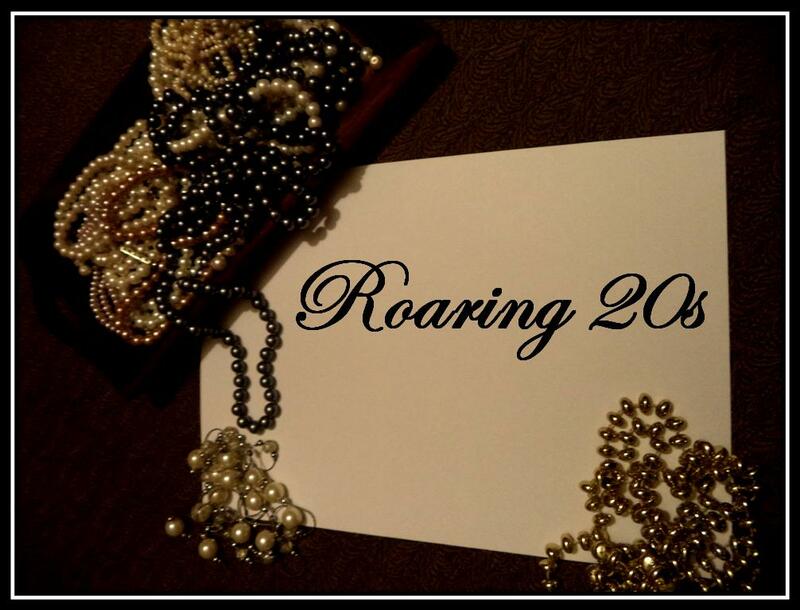 When it comes to vintage, nothing intrigues me more than the “Roaring Twenties”. As was quoted by Fitzgerald in The Great Gatsby, “The parties were bigger, the pace was faster, the shows were broader, the buildings were higher, the morals were looser, and the liquor was cheaper”. 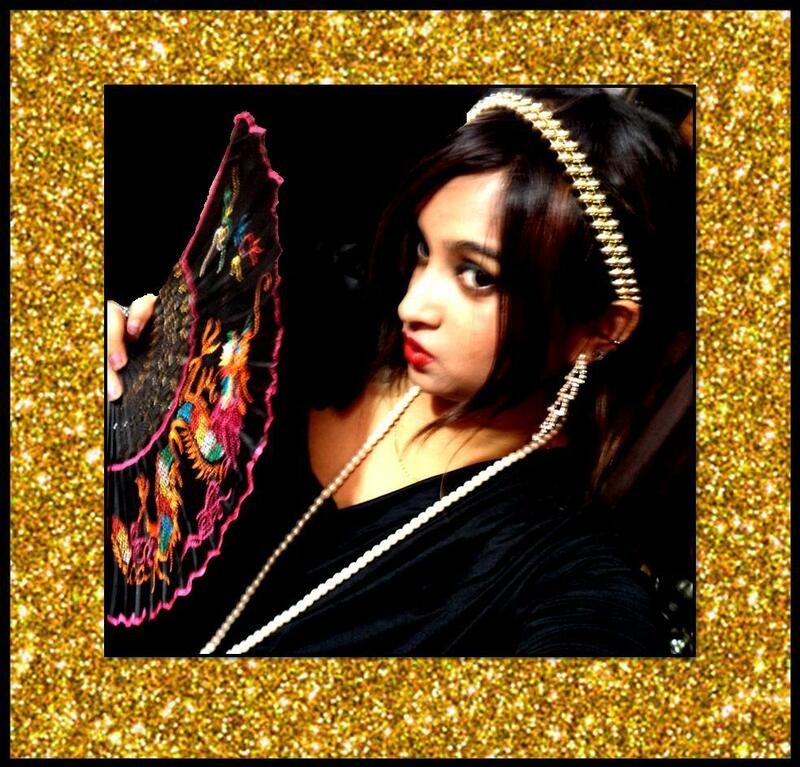 So one fine morning, I got struck by the idea of creating the Flapper-Girl look. Out came my huge box of pearls and digging into all that opulence and drama. 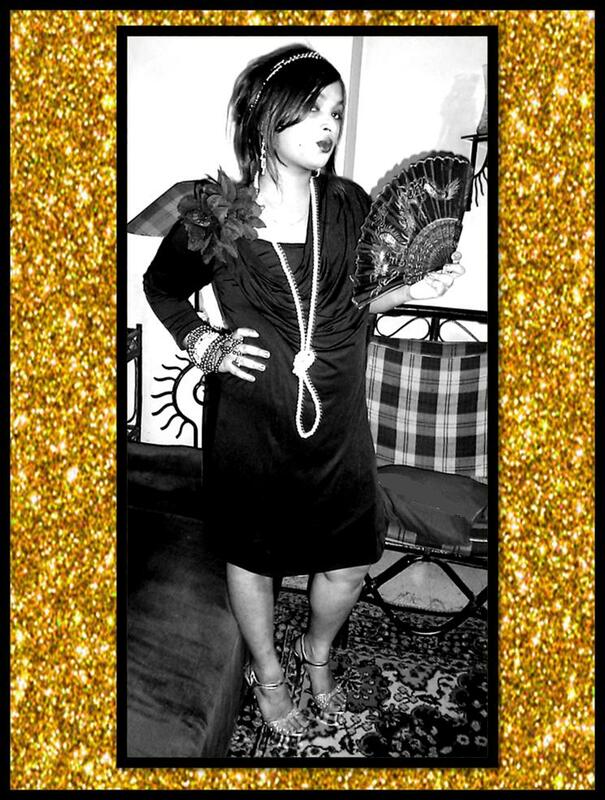 Nothing screams 1920s more than a bunch of pearls and huge splashes of golden. I tried to work with these two aspects. I turned a golden string of beads into a headband. I folded my hair into a bob. For the make-up, pronounced cupid-bow lips and loud eyes are oh-so-Flapper-Girl. It’s a pity all I did was pose. I wish I could do some jazz in this outfit. Nevertheless, I was happy just posing for now. 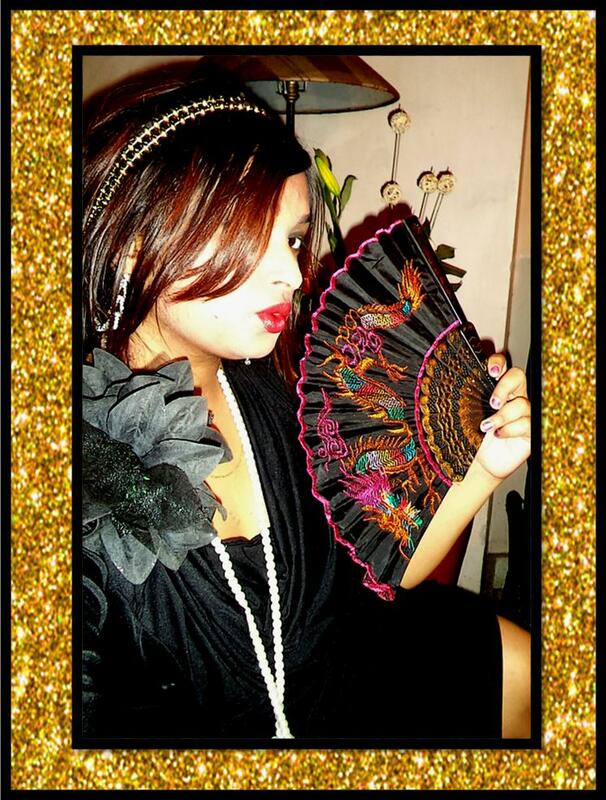 Do share with me how you liked my Flapper-Girl look. Till then, do the Cha-Cha-Cha. So gorgeous and mesmerizing, Pooja! Loved the head gear..Is that a necklace? Thanks so much sweetie! Yes that headgear is a necklace! Wow! I wish I was born back then!